What is Maintenance Inventory Software? Maintenance Inventory Software is a quick and easy way to access your entire inventory in one convenient location. Being able to access your inventory anywhere at any time means your maintenance team will always know exactly what you have and how much. 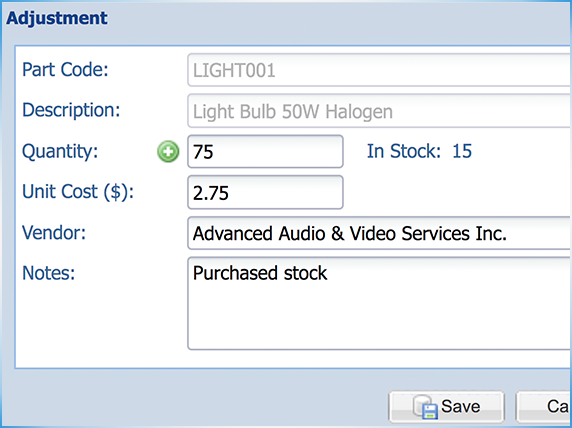 Even better, being able to refer to detailed inventory records helps increase efficiency and ROI. What Features Does Maintenance Inventory Software Include? Maintenance Inventory Software does much more than keep track of asset quantity. Tracking software allows you to keep other relevant information such as part codes, product descriptions and vendor information. 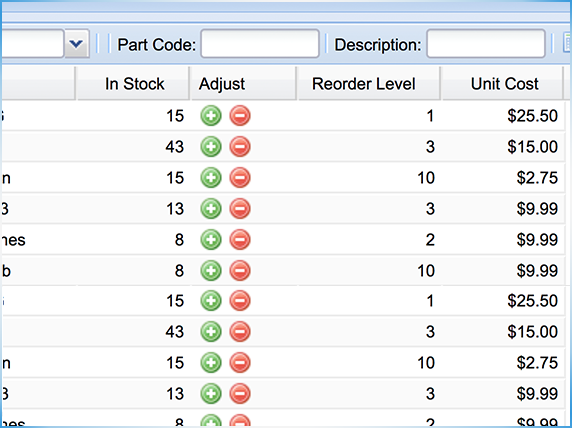 Other helpful inventory features include parts linked to assets (so you know exactly which parts are needed to perform maintenance on any asset), the ability to re-order minimums instantly and historical inventory tracking so you can analyze inventory expenses. How Does Maintenance Inventory Software Work? Maintenance Inventory Software allows users to keep detailed information on every asset in your facility and being able to track your assets through Maintenance Inventory Software can lead to huge savings. For starters, the cost of spare parts can really add up, especially if you don’t have a proper inventory of how much you need. Our price tracking feature allows you to save on costs because you’ll always know how much to buy, when to buy for the best price and which vendors will offer you the best deals. 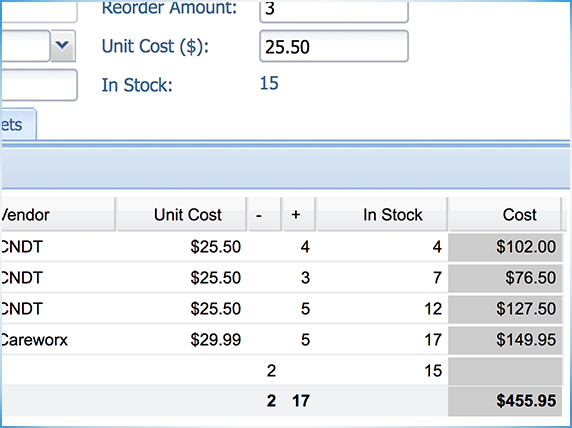 How Will Maintenance Inventory Software Help My Team? By having access to Maintenance Inventory Software, your team will always know they have and what they need to get the job done. When it comes to preventative maintenance tasks, you’ll always be able to order you need ahead of time so you can stay on schedule. Maintenance inventory will boost team organization and reduce mistakes, making tasks much easier. What Other Benefits Does Maintenance Inventory Software Provide? Maintenance Inventory Software’s features provide additional benefits to savings and increased ROI. Features such as parts and inventory tracking, trending inventory and price tracking will also allow you to increase your team’s efficiency, reduce downtime and make more informed decisions. Efficiency, reduced downtime and informed decision making are all key to a successful maintenance department. How Much Does Maintenance Inventory Software Cost? Maintenance Inventory Software is part of a larger CMMS system. CMMS systems are priced according to the features you want and need for your facility, typically around $100 a month. Maintenance Care offers several different pricing plans to meet your unique needs. Benefits of a Parts and Inventory Management System We Are A Rock Star Team, Energetic And Full Of Enthusiasm, Dedicated To Making Sure Your Maintenance Management Software Experience Is Just Right. Downtime and work delays are a critical issue that costs you time and money. With the ability to keep track of all your spare parts, and get notified when stock is running low you can significantly reduce downtime spent waiting around for parts to arrive. Spare parts for your assets are a huge cost to your facility. You can save money and improve your ROI with price tracking because you’ll know when is the best time to buy, how much to buy, and which vendor to buy from to get the best possible price. Having an east-to-use method of tracking inventory and linking it to individual assets means your maintenance team can work quicker and more efficiently. That means more productive hours and a faster asset recovery. With the all the information about historical spare parts and inventory orders, pricing trends, and more for each asset right at your fingertips you can make more informed decisions about when and from who to purchase your inventory. Schools can’t afford to have downtime days because essential equipment is broken and spare parts aren’t available. 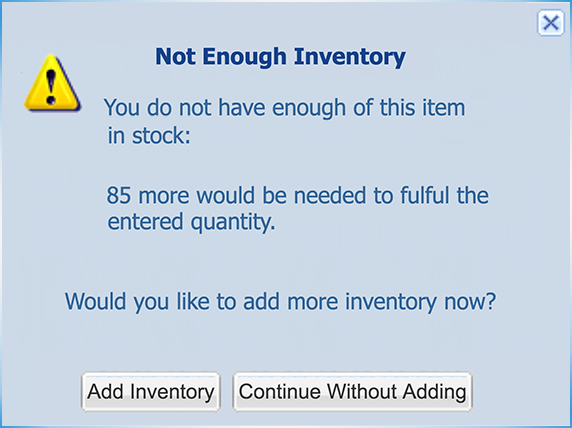 With re-order minimum notifications, this won’t be an issue. Golf Courses require a lot of maintenance equipment to stay __ and beautiful. You can use our Parts and Inventory software to make sure it’s always in working order. As a small business, budget is always at the top of your mind. With parts and inventory price tracking, you can ensure you’re always getting the best price for your spare parts. Effective Parts and Inventory Management is essential to manufacturing plants and warehouses to ensure your business is able to run without long work delays and downtime. You'll Love Maintenance Care You asked for parts and inventory software to be added to our CMMS – and we delivered. 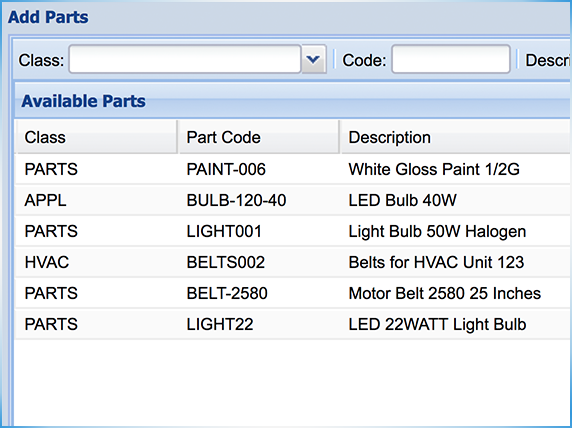 Now you can easily track and manage all of your spare parts and other inventory from a single, user-friendly database. Your maintenance team will be more efficient because they won’t be sitting around waiting for spare parts that were only re-ordered after they completely ran out. Plus, your facility will save money because you can track when the best times to order are, how much to order, and which vendor to order from for the best deal.